Winters are up and so the travel fever. Winters are meant for hazy and romantic atmosphere and are considered the perfect time to explore and travel because of the pleasant environment. It is the best time to pack your bags and start searching where you want to spend some peaceful days of winter. These below mentioned places are a perfect getaway to enjoy winters at its best. Here we are sharing with you the best places to visit in December in India. If you want to get the best deals on holiday packages of these destinations, check out EaseMyTrip. It is one of the best places to visit in India during December and most striking destinations in the southern part of India that is Tamil Nadu. Earlier it was considered as the seaport of Pallava kingdom based in Kanchipuram. It has beautiful temples, rock-cut caves and outstanding architecture which makes this place a bit more exotic than other places. Mahabalipuram is a perfect place to visit during winters. Amazing and unique handicrafts add in its splendor. Lush green trees, beautiful beaches, and an altogether pleasing environment make this place a must visit during winters. It is the popular tourist spot in Kerala. This place is also called “Venice of the East” because of its backwaters and network of several canals. It is one of the prime tourist attractions and is blessed with outstanding beauty, several lakes, and waterways. 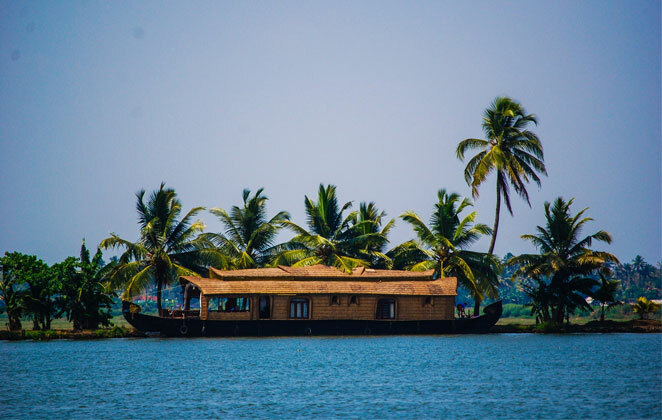 Alleppey is aquatic heaven and filled with natural bliss, shining sand and swaying palm trees. It has outstanding weather in winter. It is unquestionably one of the places in India to stopover. It is the best place in Uttarakhand to experience the thick layer of snow in the mountains and winter is all about snow and festivity. No matter where you are planning a trip in winters but if you are planning a domestic trip, then Auli in Uttarakhand is the best place to explore. Auli is known for its beautiful resorts and natural beauty. This place is surrounded by the great Himalayas, charming scenes, fascinating oak fringed slopes and exotic coniferous forests. From Auli, one can have a view of Nanda Devi, Kamet, and Mana peaks. Auli has beautiful apple orchards as well, which adds to the beauty of this place and has some historic tales as well. It is a perfect getaway from the madding crowd and hustle bustle of the city life. Whenever anyone finds out places to visit in India for fun. The first place pops up is Goa without any doubt. If you love to booze and party and if you would love to attend the SUNBURN festival, then Goa is the best place in winters for you. Goa becomes a bit more beautiful and exotic in winters because of the enticing weather and the environment of festivity which you can feel in Goa at year’s end. Goa has its own charisma because this place offers beautiful beaches with the perfect view of sunsets, lots of night clubs to booze and party and the delicious seafood. Rann of Kutch is located in Gujrat, and this place renovates itself into a heart of carnival, festivity every year at the time of the New Year. Rann Utsav is a carnival of lights, music, dance, and festivity it is organized every year’s end. This festive mode enhances the beauty of white rann(desert). If you too want to experience joy and fun at Rann Utsav, then this place is merely a right winter destination. Looking for Places To Visit In December in India? This peaceful hill resort offers mesmerizing views and the perfect amount of solitude to begin your new life. 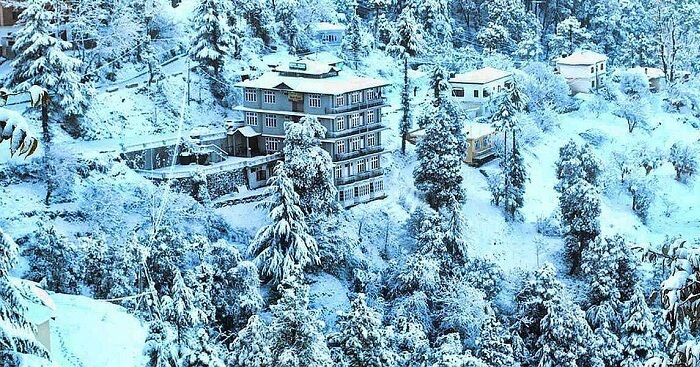 Chail is amongst the most reasonable places to visit in Himachal Pradesh for the honeymoon as well as family holidays, and it will leave countless memories in your heart! Spend quality time as you explore the twisting roads of Chail. You could also visit the Chail wildlife sanctuary and solicit blessings from the Siddh Baba Mandir. Kasauli is the town of quaint relics of the British Empire, one of the most romantic winter destinations in India and it boasts of spectacular vistas. The ambiance sets the perfect romantic mood, and thus, Kasauli is one of the most popular places to visit in Himachal Pradesh for the honeymoon. Indulge in some nature walk hand in hand as you explore the trails from Kasauli to Jabli, go paragliding and visit the Kasauli Brewery for some local Himalayan beer. 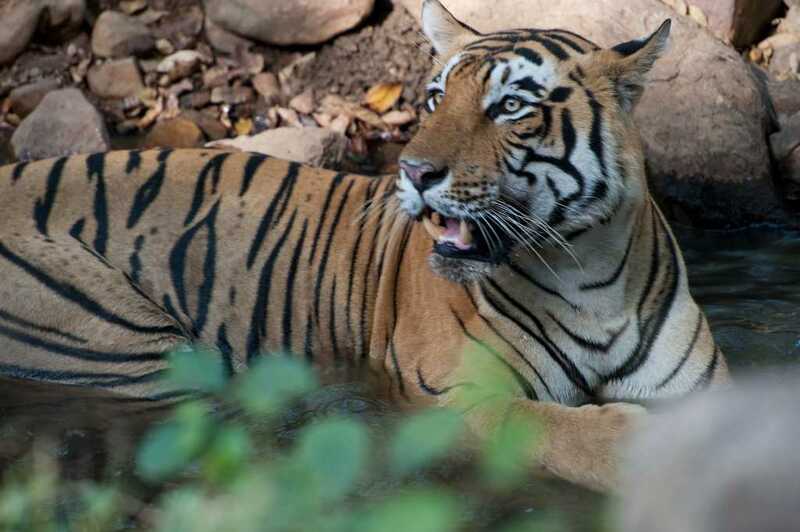 Dotted by one of the best tiger reserves and bird sanctuaries of the country, put this trail on your list for some of the wealthiest and most enjoyable wildlife experience. With birds migrating all the way from Siberia for the colder months, Bharatpur is one of the places to visit in winter in India for an amazing bird watching experience. Your jungle safaris and tiger spotting expeditions through Ranthambore and Sariska Tiger Reserve will only be more convenient by winters. While reserves and national parks tend to be the generic highlight here, don’t miss the forts and temples at Alwar. This picturesque valley sits in the borders of Nagaland and Manipur and is definitely a must-go for holidays. The valley is stuffed with a variety of flowers and is still a perfect corner where nature is undiluted. June to September is the perfect time to visit this place and to stretch out in its tranquility. There is just a small hitch to reach this place, and that is to get an inner line permit which is important to enter here. Previous articleThe Passion Of Becoming A Tattoo Artist Made Ketan Saindane An Engineer Inspite of losing vision.